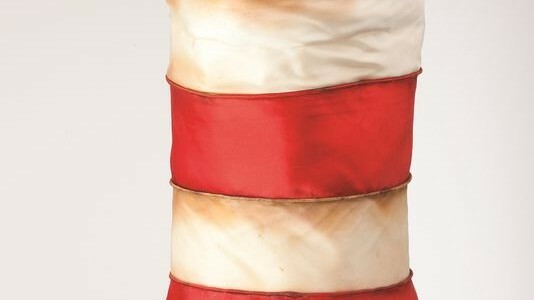 Relevant Communications / Posts tagged "Dr. Seuss"
Step into the creative mind of the infamous Dr. Seuss at LaMantia Fine Art Gallery in Northport, where limited edition artworks from “The Art of Dr. Seuss Collection” are on display. The exhibit, “If I Ran The Zoo” features the artist’s “three-dimensional unorthodox taxidermy.” It’s the first time all 17 sculptures have been presented together in an exhibit dedicated to Dr. Seuss’s sculptural heritage. The artist forever known as Dr. Seuss didn’t stop at writing and illustrating 44 wise and whimsical storybooks. While he produced popular literature by day, he spent his nights in the 1930s sculpting and painting for his own enjoyment. The Secret Art of Dr. Seuss Collection is largely unknown to the world, excepting art specialists and true Seuss enthusiasts. Now, a new exhibition is bringing a curated array on tour for public viewing. They’re available for acquisition, too—in other words, someone could actually take home “The Mulberry Street Unicorn” as a piece, instead of a page. NEW ORLEANS (WGNO) – Twenty five years have passed since the final words of Dr. Seuss were published. The American writer and illustrator wrote 44 books and sold more than 650 million copies. And now, limited edition prints from arguably his most famous book, “Oh The Places You’ll Go,” are now on display and for sale. The San Diego History Museum is staging an exhibition dedicated to the art of Dr. Seuss, March 25 to April 19, at the museum in Balboa Park.